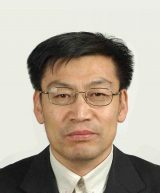 Professor Shi Peijun is executive vice-president of Beijing Normal University. He is a member of the Expert Committee under the National Disaster Reduction Committee, housed in Ministry of Civil Affairs of China and also a member of OECD’s High Level Advisory Board on Financial Management of Large‐Scale Catastrophes. He has taken charge with more than 40 national or ministerial programs successively, published nearly 200 papers, 15 monographs, and obtained national and ministerial awards for more than 20 times. Recently, he is undertaking a National Key Technologies R&D Program – Key technologies and demonstration of integrated risk governance, and four other programs. He ever gave scientific & technological information lectures and consultations to leader of State Council three times, and offer consultation for central and local governments. His research productions were widely adopted for the decision-making of central and local governments. His research focuses on natural disaster theories and risk management. He established the system of “regional natural disaster system” which consists of “environment, hazard and society”. Furthermore he put forward the technological system of regional agricultural natural disaster assessment.